The Bundeswehr currently seems to have nothing in their arsenal that they don't have issues with. needed. ( making budget cuts possible ). That seems to include stuff for regular maintainance too. The only type reasonably available is the Airbus helo based on a civil version. Those parts needed seem to be available on shorter notice from the civil market. Ulla von der Lügen has not changed this. But is adamant that fault is with the manufacturers. In the position she previously held she has spent more money on PR "to present her in the right light" than anything else. Question is what does she want to achieve ? Introduce "more reliable" suppliers from abroad ? "The Airbus plane has not yet managed to get rid of a troublesome maintenance reputation. " - There are dozens of countries operating medium and large transport aircraft and few alternatives. No single aircraft caters adequately to all needs, there will always be some accommodation. - The operation in Antarctica is an original requirement of the KC-390 not only for Brazil but also for countries like Argentina and Chile, potential customers. You may be satisfied with the 38% operational availability even after almost 5 years of the A400 getting into service. I am sure that Embraer engineers will be very disappointed if after the first year of service the KC-390 does not exceed 95% availability mark. Maybe I'm wrong, maybe all the blame should fall on the German air force. But before accepting this, I would like to have access to unbiased data on the actual availability of these aircraft as well as maintenance cost data. There is a lot that is unique in the A400, an aircraft that is very focused on supporting combat operations. I see that New Zealand mainly needs bulky cargo carrying capacity, having little concern for tactical capability in wartime conditions. the Mulholland article states only 2 of >10 available. I find this disturbing ( on the media side.). While 38% doesn't look good,. You may be satisfied with the 38% operational availability . Ha Ha. Please don't stray into the field of blunt propaganda. No aircraft would ever reach 95% availability by the same standards that were used to calculate the above Luftwaffe numbers. Of course Embraer avoided lots of trouble when they selected a proven engine. But still it's a new aircraft, and as a military system it's not proven. The military parts offer lots of room for trouble that Embraer engineers don't even dream of and Airbus engineers had to cope with already. I’m not overly for or against the jet, I just see it having a role and place in future military transport acquisition. Not correct. Kawasaki was investigating the use of the C-2 on the civilian market as far back as 2007. Hence consideration for the export of the aircraft in some form has always been a factor. I’m not sure what you mean by this. Are you saying that nations won’t buy Japanese technology? The primary customer for the jet will be ordering it is larger numbers than the primary customer of the KC-390. How does that not guarantee the availability of a traditional supplier? Correct, which is why both the C-2 and KC-390 are trying hard to sell to the market. Given they have reasonably difference payloads there won’t be a lot of cross over between customers. NZ is an example of a nation that has a reasonably unique set of requirements, and low budget, that allow both aircraft to compete. While that may be the intent, for the NZ Antarctic use case the range of the C-2 significantly trumps the KC-390 across all payloads. NZ has a stated problem with having a point of no return and the KC-390 will almost certainly has a greater issue with that than the C-2, given the KC-390s much shorter range. 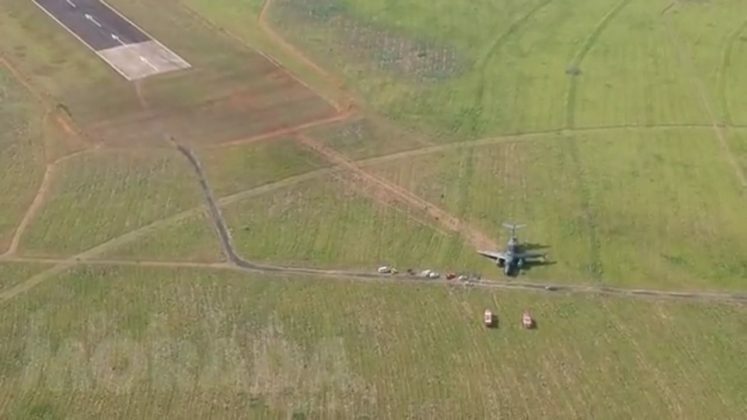 One of Embraer’s KC-390 prototypes returned to flight over Brazil on 2 March, after being grounded for several months due to unexpected altitude loss during a stall test flight conducted last October, several flight tracking websites report. 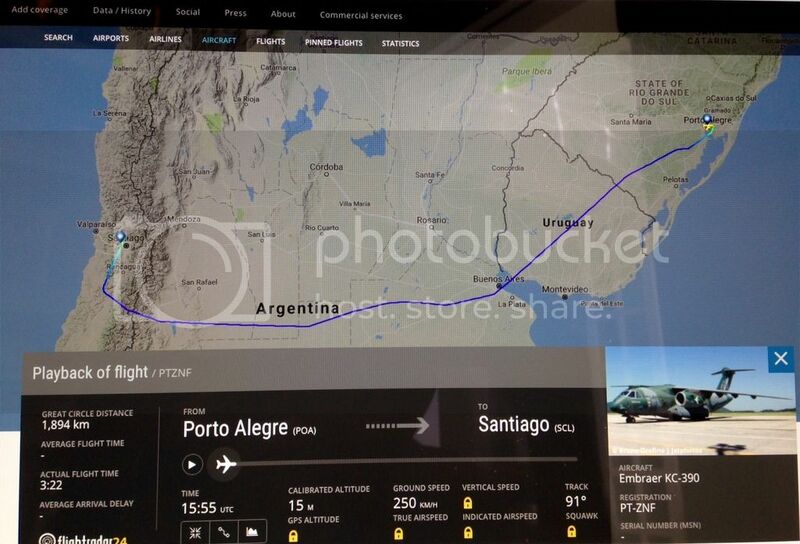 Embraer confirms that the tactical transport involved in last year's mishap has resumed testing. 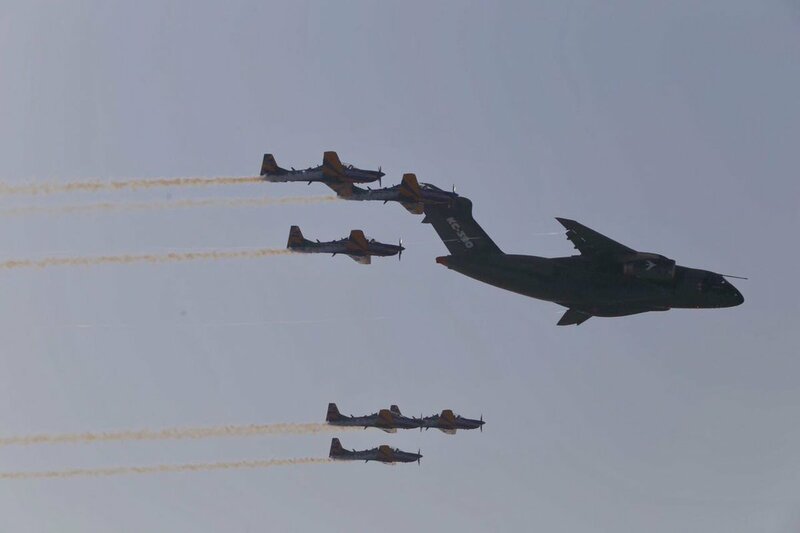 The company’s first production aircraft is expected to enter service with the Brazilian air force’s 11th Wing in Rio de Janeiro later this year: a schedule that Embraer says will not be delayed by the prototype’s stall test incident and subsequent months of unavailability. The A400 aircraft in its project prioritized a high operational performance (range, load capacity, operation in semi-prepared tracks) and high European content. It was successful in these two aspects. As for the cost and availability available, the A400 will certainly be at a disadvantage compared to the C-130J and the KC-390. The latter extensively employs equipment and devices widely tested and produced on a larger scale. From the outset, the KC-390 looks for an operational availability factor similar to that achieved by civil aircraft. The current discussion turns to the needs of New Zealand, which is not in Europe, is not part of NATO and has no intention of waging long-distance wars. 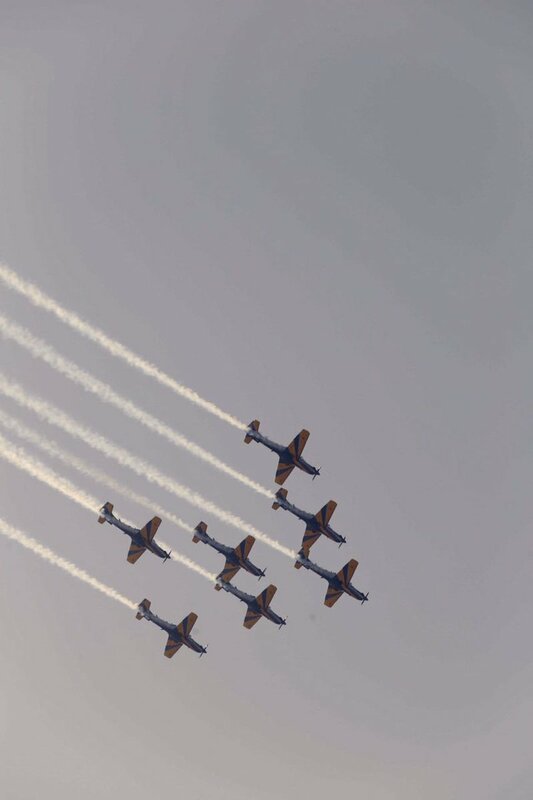 Developing an aircraft with low operating costs, long maintenance cycles and ease of repair is as legitimate a marketing tool as performing feats such as refueling helicopters or moving heavy equipment. Embraer together with the Brazilian Air Force studied in detail the aircraft offers and the military priority requirements before developing the KC-390. 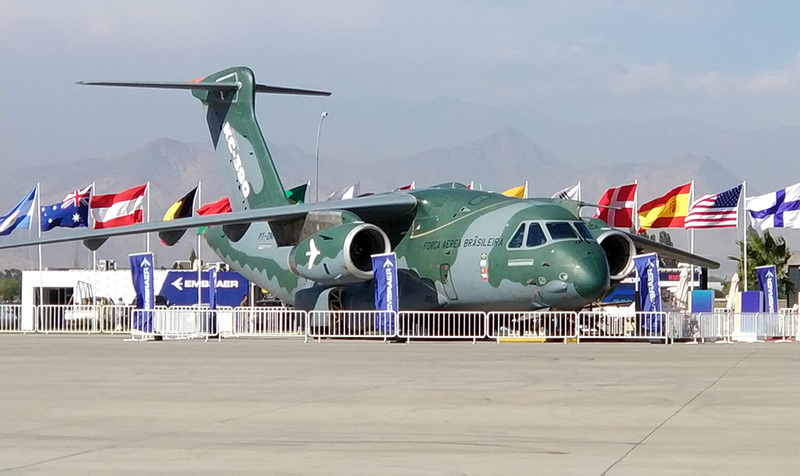 Maybe it lacks some fancy features but the KC-390, as its sibling 190E2, will surpass the expectations. 1) Good luck, you will need to find evidence that the C-2 project had in its design major concerns in generating a product attractive to overseas customers. Tip: The meaning of the word "investigating"
2) The aviation segment is conservative and prefers to buy a product from one traditional supplier rather than another that sells only to the Japanese government. Does that sound logical? There are Japanese companies and products of the highest quality but this occurs in markets facing international competition. The defense segment, like some others in Japan, is isolated from the competition. The typical result is high costs and below-average performance. 3) With a pair of KC-390, there are the possibility of fuel the other, greatly increasing the radius of the action. Even because this requirement is just one in so many others. You mean like a flight global news article talking to the manufacturer about the commercial derivative? I’m not saying they will be successful, commercial variants of military airlifters have an overall poor record in the market, but that it was considered from the start is a fact. 2) The aviation segment is conservative and prefers to buy a product from one traditional supplier rather than another that sells only to the Japanese government. Does that sound logical? How is that any different to the KC-390 which only has the developing nation as the sole customer? There are Japanese companies and products of the highest quality but this occurs in markets facing international competition. The defense segment, like some others in Japan, is isolated from the competition. The typical result is high costs and below-average performance. So far the cost to develop and field the jet appears to be in line with projections. The schedule slipped a number of years but the acquisition price has stayed comfortably within expectations from 2007 till today. I have issues following your reasoning beyond that you seem to indicate that things in NZ are upside down. Interesting from my view was that maintainance downtime for the A400M was planned to be about half of C-17 or C-130. Then we could discuss if this was transferred into reality. Next if divergence is manufacturer error or user error. Since the 1970s Embraer has actively participated in many others military projects like trainers (Xavante / Tucano / Super Tucano), fighters (AMX / Grippen), specialized intel (Bandeirulha / E-99) and upgrades (F-5 / A4 Skyhawk). There is no knowledge gap as you imagine. An issue for the New Zealand acquisition process (FAMC) concerns the actual availability of the heavier aircraft like the A400 ou C-2. 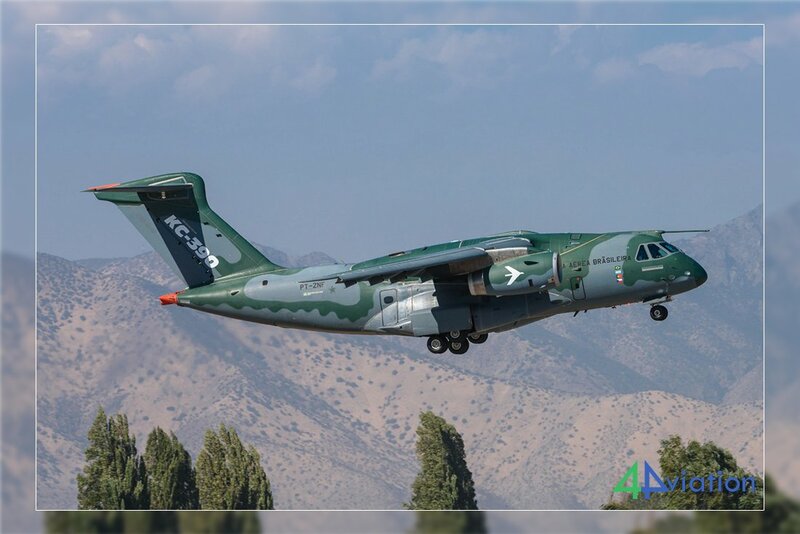 Considering that the value to acquire 5 C-130/KC-390 aircraft amounts to about 3 A400/C-2 units means that under usual conditions would be available to operate around 4 C-130 / KC-390 (~80%) and probably only 1 or 2 A400 or C-2 (~50%). For NZ it's entirely possible the government might stump up for an extra larger aircraft or two if the capability is worth it. It is also something that would likely gain support from the NZ Greens as the primary use for transport aircraft in NZ is natural disaster response and search and rescue. But we won't know actual budget until we get an RFP and start hearing contract rumors. Hmmmm, I wonder if they'll send it by RIAT this year. Would be pretty neat to see one up close. Those cockpit windows are about the same size as the R1 door. O_O Damn they're big. Must be an amazing view out. Shame it won't be flying. Portugal just cancelled the modernization of its C130s fleet. The money will now go to the maintenance and some modification of the fleet to wait for the KC390 to be fully operational. Portugal made a firm order of 5 KC390 + 1 optional. Huh, so that vid shows the aircraft with 3 ACTs. I wonder how much each tank increases range and affects payload. As that could be a deal maker for the NZ government. Typical marketing blurb that hardly differs from similar videos that were produced for other recent aircraft. Posts like this one make this forum look like an advertising platform. It shows auxiliary fuel tanks in the cargo compartment. I doubt that this is safe to be combined with other cargo or passengers. It's probably for the aerial refuelling role only, maybe for firefighting as well. You can't compare this to ACTs in the lower deck of an airliner. I'm sure they could make it safe enough. We aren't talking a dozen revenue flights a week or anything. For a customer like NZ being able to do NZ-Antarctica with no point of no return would be valuable even if it meant an ACT sitting next to a handful of passengers and freight. Of course the other option there is for the NZ Government to buy a refueling kit and use 2 KC-390s with a refueling. I'm more just airing ideas for prospects of an NZ sale. I'm sure they could make it safe enough. Even if they could, which I still doubt since Kerosine is a hazardous substance, I also doubt the practical value for reasons of accessibility of cargo and center of gravity moving in flight. Embraer is gonna be releasing a series of KC390 videos. New episodes every 2 weeks on mondays. Kawasaki C-2: It will be difficult to obtain reliable information about the performance of this machine. The lack of international experience of Kawasaki HI in competitive environments, especially in the civil segment, makes me doubtful. I told you before. Some products try to promote themselves through fancy capabilities, but on a day-to-day basis you need a robust aircraft that deliver in a consistent way. The KC-390 with its IAE engines and modern design creates uncomfortable competition for today's tactical transport aircraft. Maybe some people are not used to plane manufacture delivering what they promised. So they automatically think it's "marketing blurb"
Thanks for proving my point. Whenever I read your posts about this aircraft, I get the impression that I'm taking part in a sales pitch. I understand that aircraft manufacturers need to post promotional videos, but what I don't get is that internet forums have turned into advertising platforms filled with marketing experts who try to sell military aircraft to anonymous web surfers like myself. I certainly have seen many fanboys in the past 20 years of the internet, but most of these at least understood that they can't look into the future, and they need to distance themselves from optimistic predictions. I'd expect a little caution so it doesn't become too obvious that there's no distance at all between the markting blurb and the poster's own positions. Perhaps you are just an impartial and skeptical observer of military transport aircraft. Or perhaps you have a favorable predisposition to Airbus and A400M to the point of losing your critical ability. There are objective realities in the products in terms of design, components and performance that allow the discussions to be much more than mere talk between the deaf. From my point of observation and considering the long term gestation of projects of this nature it is important to understand how a concept has evolved into a detailed project, then to a product and finally becaming a service history. I believe that the KC-390 has a very interesting size and has learned a lot from the experiences of competing projects that preceded it. Embraer and the Brazilian Air Force decidedly do not want to make the same mistakes that have been discussed at length over the last 15 years. Thanks for another sales pitch, what else can I expect. Embraer has been delivering what they promised on the latest programs: Tucano, E1, E2, KC390... some better than promised and below budget and time. But the guy saw interior fuel tanks and all of a sudden everything is marketing blurb. Embraer havent given me a reason to doubt that what they promise can be done. Unlikely some others... u know who. You have forgotten about the endless Ohs and Ahhs under topics popping up for each new PR offer from Boeing that shew another flashy CGI rendering of the Dreamliner ( on the ground, in flight, nice background or not )? Prototype went off the runaway during a test today. I hope all crew members are okay. Looks like it dragged the starboard engine or wingtip along the ground judging by the marks across the grass/dirt parallel to the 'main' drag marks. Deal with Portugal is about to be closed. 5 + 1 and they are considering a simularor too. The relevant market in units does not far exceed the Hercules and with these engines the KC-390 can do more than the C-130 in terms of load capacity.